Hemlock is the official in many countries of the world. The essence of fresh Hemlock herb is used in the form of simple dilutions and is part of many complex drugs, including injection. It is used for preparation of drugs that reduce pain. Hemlock juice and other drugs from this plant is a powerful immunostimulator. And its anti-inflammatory properties will help to cope with many ailments associated with damage to the mucous membrane and the human skin. The Juice of Hemlock is in folk medicine one of the most effective and recognized means in the treatment of cancer. Relieves severe pain in cancer patients, activates protective reserves, acting as an immunomodulator, relieves spasms, nausea and vomiting after chemotherapy, prevents the growth of malignant cells. The whole plant contains large amounts (0.4 - 1 %) of toxic alkaloids, there are five of them: coniin, methylconiine, coniceine, conhydrine, pseudoconhydrine. The most poisonous immature seeds, the amount of alkaloids in them reaches 1 %. The most toxic of alkaloids is coniine, which paralyzes the end of the motor nerves. In the juice there are also tannins, in the fruit - essential oil, coffee acid, carotene (provitamin A), vitamin C, in the leaves and flowers - flavonoids quercitin and kaempferol, in the stems - essential oil, coffee acid. Hemlock Juice is used in the treatment of many diseases, including cancer. 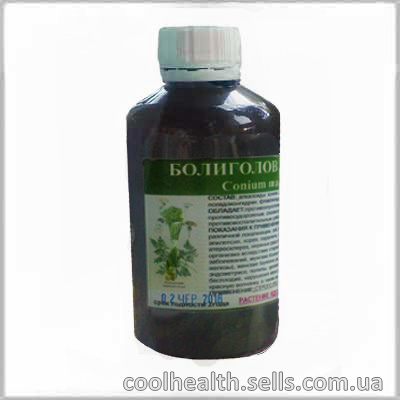 Its antitumor effect helps to reduce, and sometimes even eliminate malignant tumors from the body. Special anti-cancer collections of herbs, infusions and juices, together with traditional medicine will help to cope with this terrible disease. Treatment with traditional medicine, as well as the treatment of a professional, requires precise guidance on the application. Before taking the drug be sure to read his recommendations in relation to the dose! Since the plant has a huge list of chemical properties that are used in large amounts can harm the body. When taking Hemlock Juice should strictly observe the dosage! Overdose is not allowed - start inflammation, rapidly deteriorating condition. The Juice of Hemlock contraindications. When treating Hemlock in high doses (for any disease), each patient should be aware of the possibility of a sharp decrease in blood pressure and therefore required control of blood pressure. The plant is very poisonous! When you receive drugs from Hemlock to adhere strictly to the dosage. If the condition worsens, reduce the dose or cancel it altogether. The initial symptoms of poisoning appear after 1.5-2 hours, sometimes 20-30 minutes. In case of poisoning, it is necessary to call an ambulance urgently! Before the doctor's arrival, drink warm water, sweetened with honey, and cause vomiting or rinse the stomach with a weak solution of potassium permanganate. Dose admission: Strictly by appointment Doctor!